May temporarily relieve minor symptoms of joint pain and inflammation, tendon and soft tissue discomfort. We’ve brought back the original smooth gel formulation! 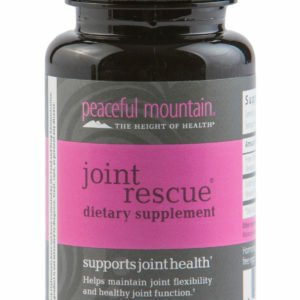 Joint and Tendon Rescue™ contains homeopathic ingredients that may help to temporarily relieve minor pain symptoms associated with joint conditions as well as damaged or stressed tendons, ligaments, and other soft tissues. 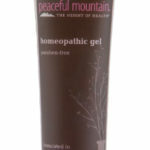 This topical remedy also includes herbs specifically chosen for this soothing gel formulation. 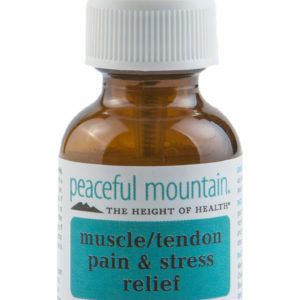 The Peaceful Mountain™ Joint and Tendon Rescue water-based gel absorbs quickly into the skin and is non-greasy and paraben free. Inactive Ingredients: Extract Blend: (Purified Water, Arnica [Arnica Montana] Flower, Comfrey [Symphytum Officinale] Leaf, White Willow [Salix alba] Bark, Celery [Apium Graveolens] Seed, Devil’s Claw [Harpagophytum procumbens] Root, Feverfew [ Tanacetum Parthenlum] Leaf, Poke [Phytolacca Americana] Root, Ascorbic Acid, Turmeric [Curcuma Longa] Root, Purififed Water, Phenoxythanol (and) Caprylyl Glycol (and) Sorbic Acid, Acrylates/C10-30 Alkyl Acrylate Crosspolymer, PEG-33 (and) PEG-8 Dimethicone (and) PEG-14, Aloe Barbadensis Leaf Juice, Sodium Hydroxide, Tocopherols (soy), Disodium EDTA, Natural Plant Extract and Potassium Sorbate. For external use only. If pregnant or breast-feeding, ask a health professional before use.Keep out of reach of children. If swallowed, get medical help or contact a Poison Control Center right away. When using this product • Do not get into eyes.Stop use and ask a doctor if • Condition worsens • Symptoms last more than 7 days. Do not use if safety seal is broken or missing.